Weather is looking great for us here in RI for Monday’s partial solar eclipse! Even though our state is not in the path of totality, it is still going to be a great thing to see ... IF you have proper eyewear. No one should ever look directly at the sun without proper eye protection, as you can seriously injure your eyes. Some ask, “Aren’t my sunglasses proper eyewear?” No! Special eclipse glasses are needed and hopefully you have yours. If you do not have your eclipse glasses, there are lots of places that are making them available on the day of the event on Monday, August 21. One spot is the Museum of Natural History in Roger Williams Park in Providence, which is hosting a celebration with family fun eclipse activities. The partial solar eclipse maximum occurs at 2:47 p.m. Solar eclipse viewing glasses will be provided to museum visitors on the day of the event. Visitors must be present to receive the solar eclipse glasses. Be part of history and come to the museum for this special event! 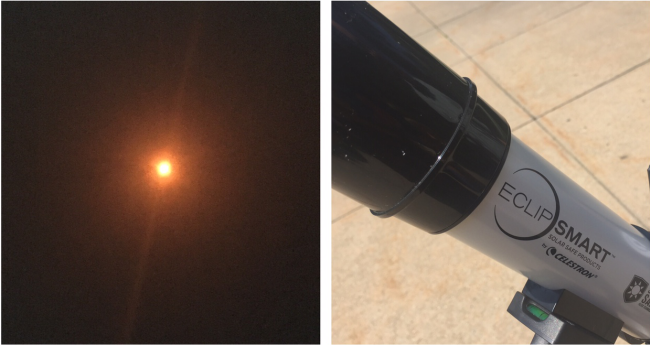 Lots of local libraries and the Frosty Drew Observatory in Charlestown are some other locations hosting eclipse programming.